Early sketch of Tonawanda (Pioneer History of the Holland Purchase of Western New York, 1849).jpg · We Are Lumberjacks and We're OK! 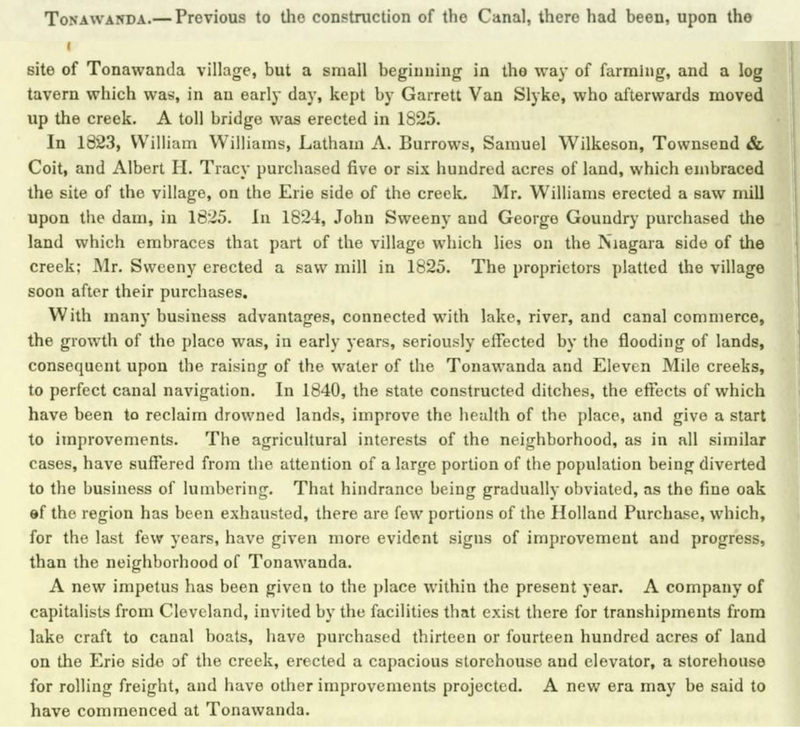 Briefly mentions slow start of the area due to flooding problems, and the importance of the state ditches of 1840. Also: exhaustion of local "fine oak," agricultural prospects, and a new Cleveland investor.